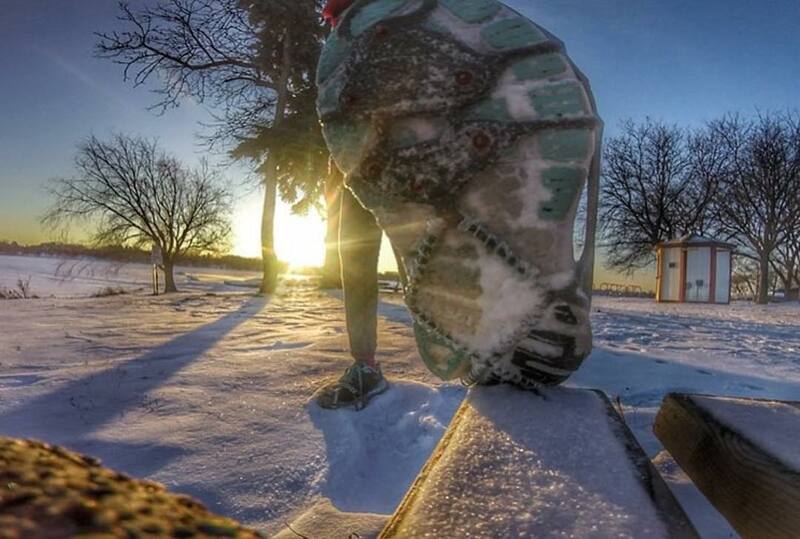 Picture it: The snow starts to melt on your sidewalk or the trail, only to reveal a layer of clear, hidden ice. Or, there’s snow packed so firm it might as well be clear blue. Then, after a few days of warming weather, a flash freeze turns all the running water to ice. 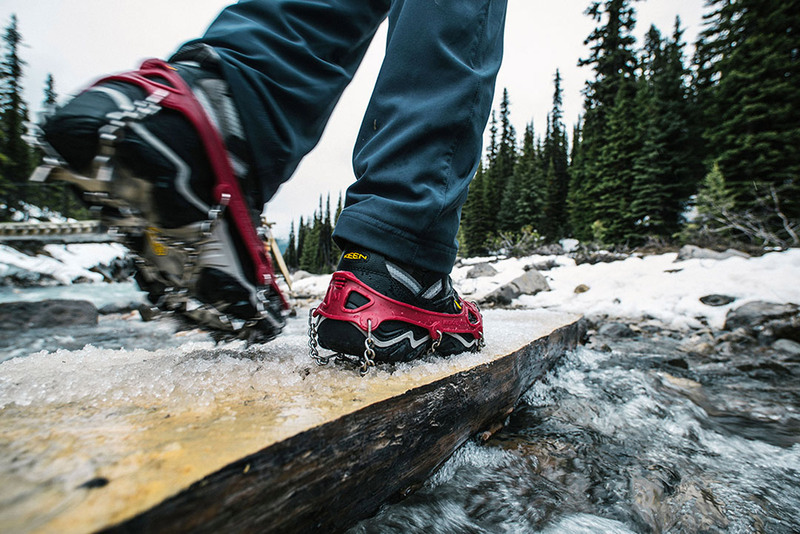 Because hard, slick surfaces can cause some nasty slips and falls, traction is obviously important during the colder months, and it is also vital to hiking safely during late winter and early spring. The very bottom level of winter traction is what you need for taking the trash out, walking the dog, or checking the mailbox to see if that new EMS purchase has arrived. During your standard daily activities, it’s still possible to encounter some slick ice that requires just a bit more traction than your boots themselves provide. That extra edge may prevent an unexpected slip resulting in a twisted ankle or broken wrist. As examples, Yaktrax and STABILicers provide sturdier footing in just about any day-to-day situation. These products’ limitations typically lie within their actual gripping capabilities, however. Items like Yaktrax and STABILicers don’t have teeth that really dig into ice and grip it well. Instead, they merely sink into the surface, mainly where it’s softer, to deter any unwanted slips. When you start getting into hard-packed snow and actual ice accumulation, you’ll need some real teeth for a stronger grip. Heading off-road? You might want something sharper and stronger. 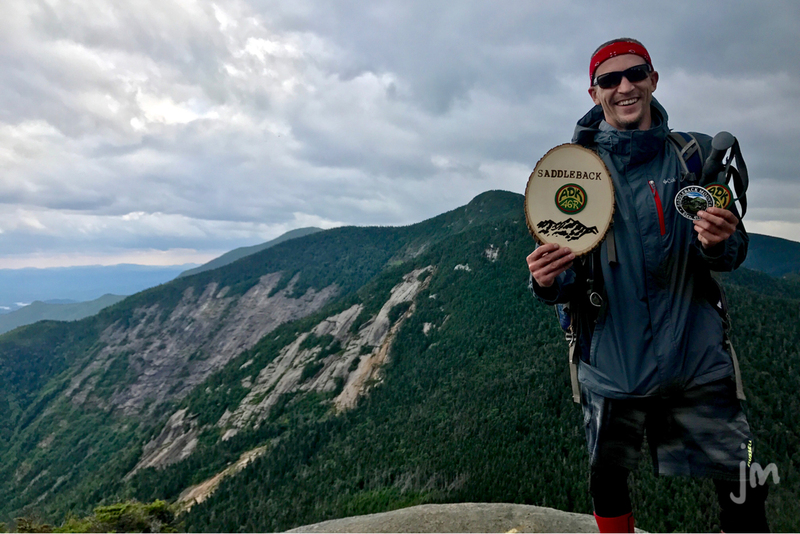 Taking a walk at the local nature preserve, heading up a well-traveled mountain for a quick hike, or even peak-bagging a 4,000-footer in the Northeast on a hard-packed trail requires more grip than Yaktrax can provide. 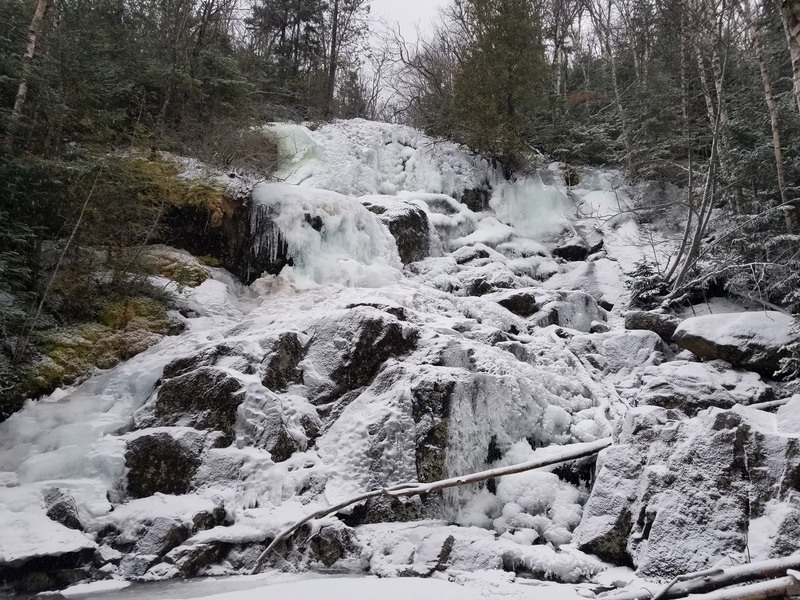 This is due to the fact that the ice (and even hard-packed snow) found during a hike tends to be much thicker and harder. Therefore, you need something more aggressive to safely and securely grip the ground, because sitting on the surface won’t provide much security. That’s where products like Kahtoola MICROspikes and Hillsound FreeSteps6 come into play. Similar in design and functionality, both of these devices feature longer, tougher spikes. These products work great on hard-packed trails, and even on a good amount of softer ice that you’ll encounter on open summits or highly traveled trails. Unfortunately, MICROspikes and FreeSteps6 don’t cut it every time, and that’s where actual crampons come into play. Often, glass-like ice that coats an entire open summit is far too hard for these to bite into. Or, it’s too steep for them to grasp, which can result in slipping and falling at very inopportune times. For such occasions, full crampons are the way to go. 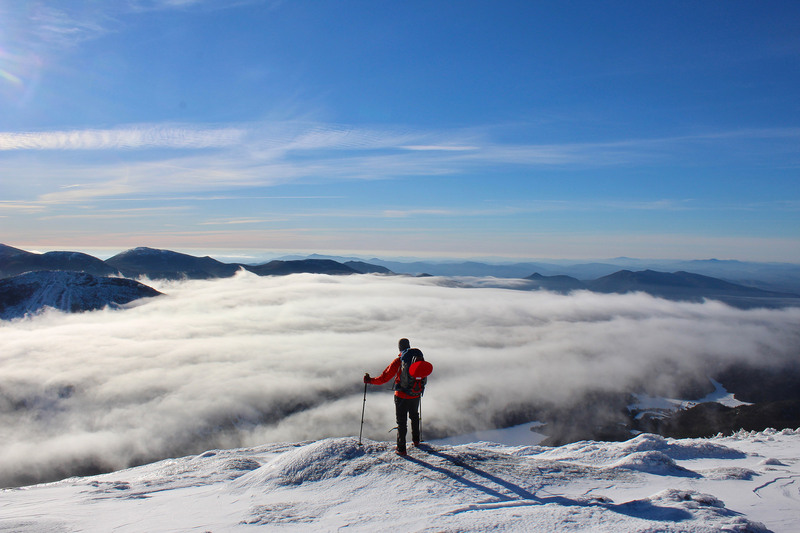 When it comes to crampons, there are essentially two categories to consider. The most expensive (usually $175 and up) is designed for mountaineering or ice climbing. Products like the Black Diamond Contact Crampons are some of the toughest, most aggressive models on the market. 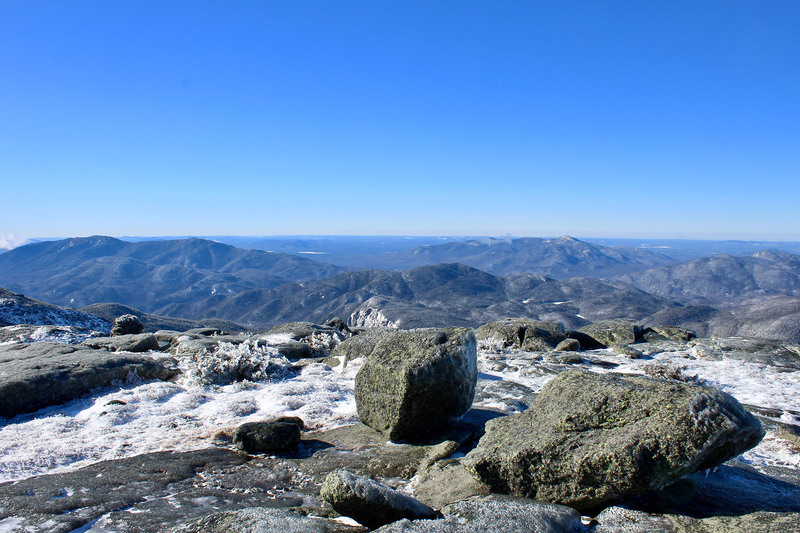 However, unless you are going to be doing these specific activities, slightly less-aggressive crampons still give you dependable traction in treacherous conditions without overdoing it. Falling into this category are the Hillsound Trail Pro Crampon, the Kahtoola K10 Crampon, and the Grivel G1 Crampon. 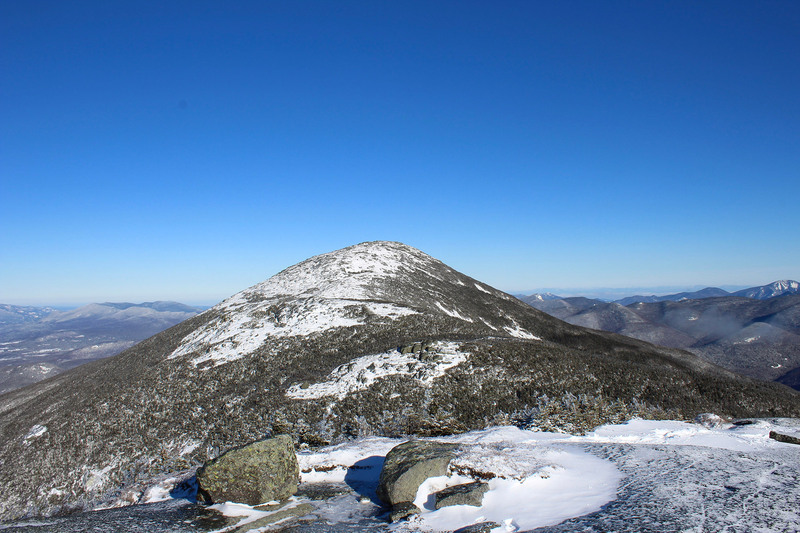 All offer a much more aggressive spike to hold onto that hard ice, giving you peace of mind and increased safety as you trek along the icy Ridge Trail heading up Giant Mountain. Last but not least, it’s time to talk snowshoes. 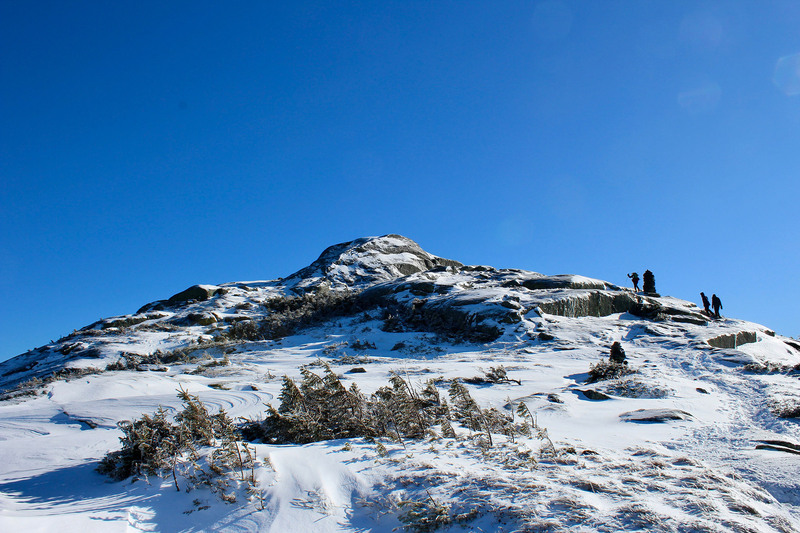 Easily the most indispensable of all winter traction devices, snowshoes are what make winter hiking even remotely possible. 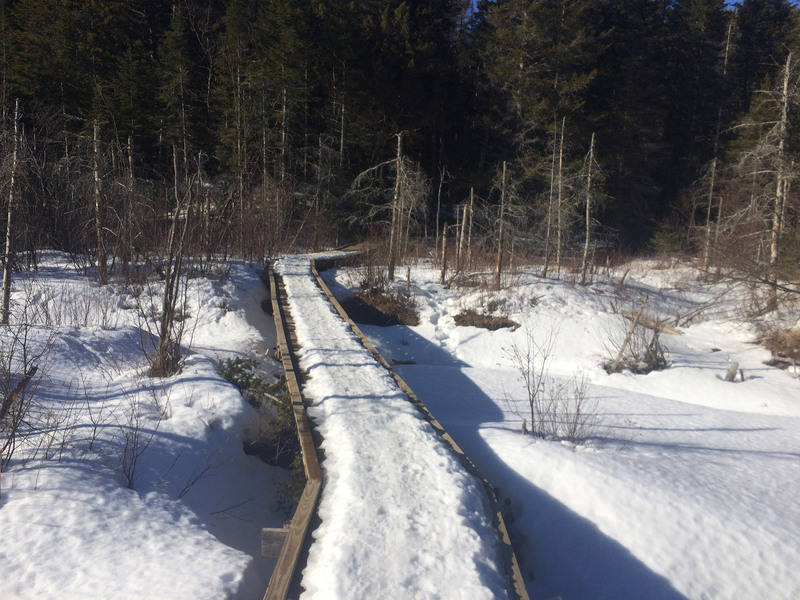 When there’s enough snow on the ground, they prevent you from sinking in and from using more energy than necessary to head down the trail. 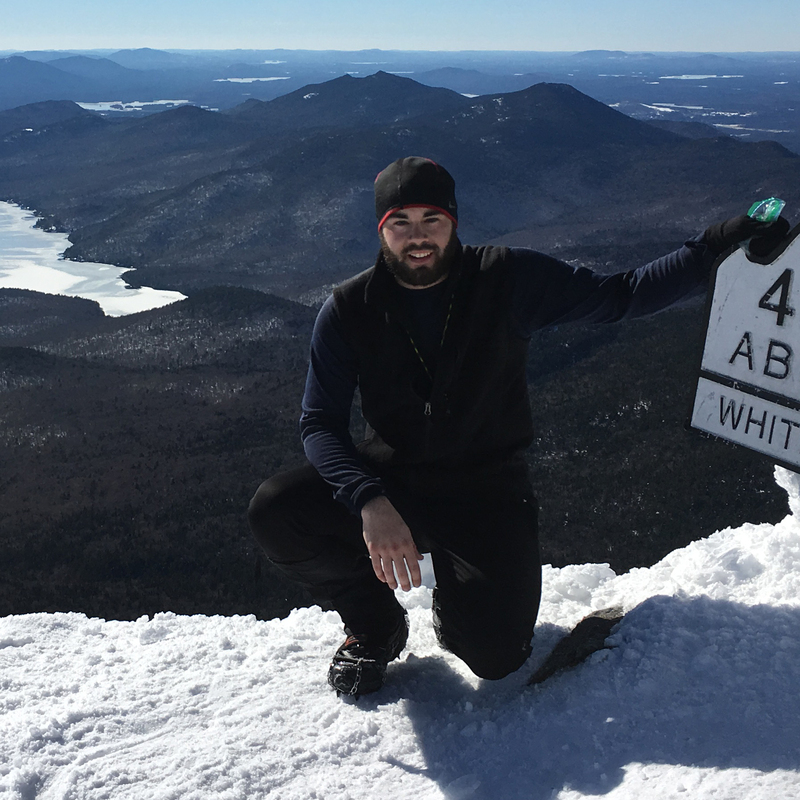 Even then, realize they’re not legally required for walking the trails, except in the Adirondacks’ High Peaks Wilderness, where eight inches or more of snow calls for snowshoes or skis. But, most also include a degree of traction for when the snow firms up or gets mixed in with ice. 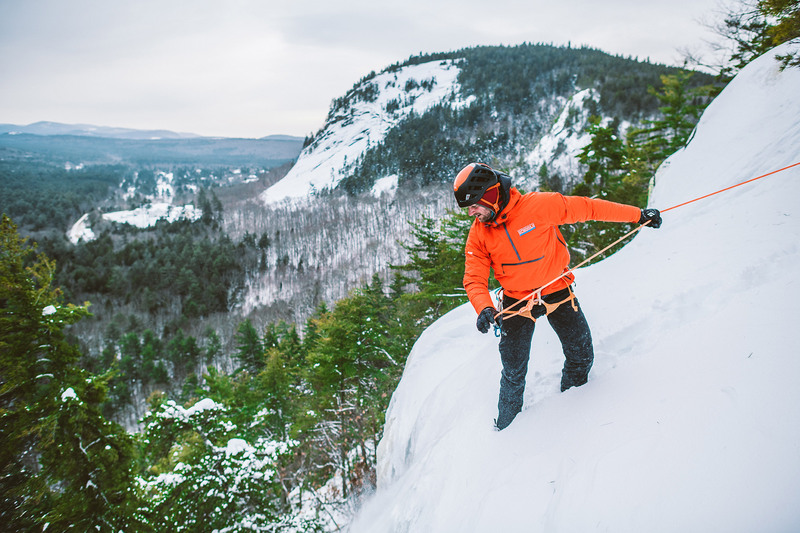 On long day hikes where you could encounter deep snow below treeline and hard ice on a mountain summit, snowshoes with more traction, like the MSR Evos, may eliminate the need to carry a separate set of crampons. No matter what your winter activities are, be sure to have the proper traction with you at all times, and above all, be safe and have fun! When your early-morning alarm doesn’t go off in time and you’re forced to frantically rush around, trying to get ready and out the door for your adventure, having your gear organized instantly becomes more important. Of course, right before a trip is when you realize you don’t know where half your gear is. If only you had taken the time to set up some kind of organizational system, you’d know right where everything was, and you’d be on your way already. Just like the power tools in your shed, your adventure gear deserves a home worthy of its beauty. And, there’s nothing quite as nice looking (or as organized) as hanging everything up on a pegboard. It’s easy to sort and customize, simple to look at, and totally Instagram-worthy. And, thankfully, it’s easier to get organized this way than you might realize. 1. Find a room or space where you want to organize your gear. For me, this space turned out to be my garage. Adding a pegboard here allowed for quick, easy access to all of my gear in a central location whenever I packed my car up for an adventure. 2. Find the wall studs to get an idea of exactly where your pegboard will go. You can use the tried-and-true method of light pounding with your first and then measuring with a tape measure, or you can use an electronic studfinder. However, most studs in residential construction are 24 or 16 inches apart. So, you can use these measurements to figure out exactly where you will be attaching the furring strip to the wall. In my garage, the studs were 24 inches apart. So, I used this figure to frame the backing furring strip, as shown below. 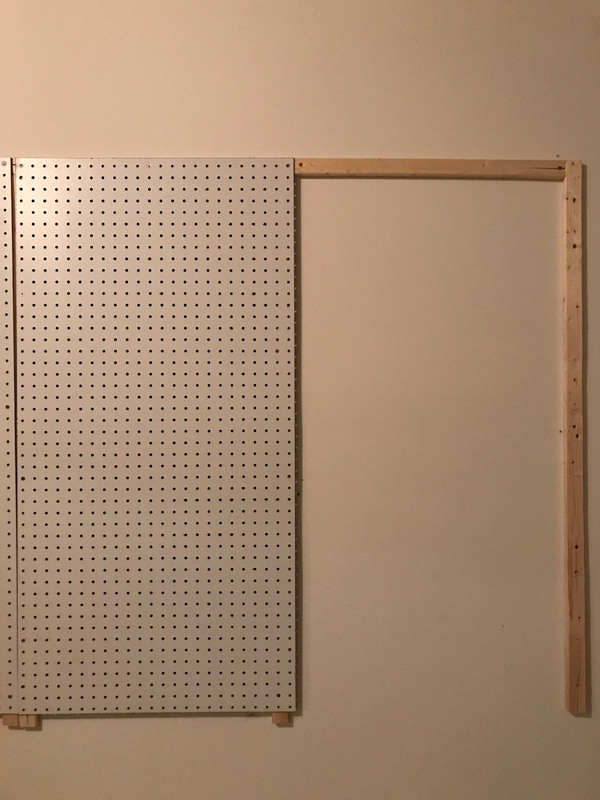 If yours fall 16 inches apart or even 12, you may want to play around with how you center the pegboard over the furring strip. The pegboard accessory kit I used does come with spacers, which you screw through the pegboard and into the wall behind. But, I chose to use the furring strip instead, because of the weight I would be placing on the pegboard. 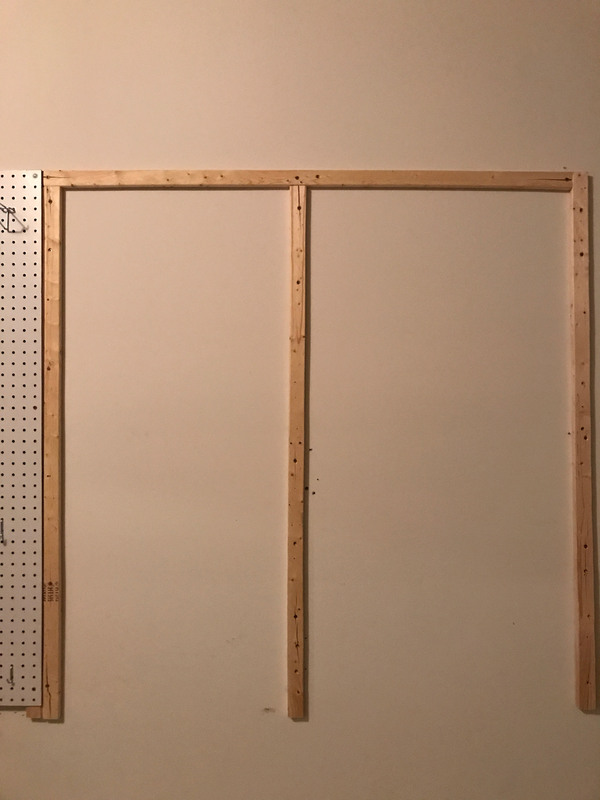 It’s better to be safe than sorry, and this method provides a much sturdier and solid support system that connects your pegboard to the studs and utilizes the strength of the wall itself. Since the pegboard is 2 ft. x 4 ft., and the furring strip comes in eight-foot lengths, you’ll need to cut it in half (at 48 inches). This is where you’ll need the tape measure and saw. 3. After cutting the two pieces of furring strip, it’s time to mount them to the wall. Make sure you use the level to line everything up nice and straight. As an alternative, your iPhone may have a built-in level based on the accelerometer’s functions. To attach the strips to the wall, I used three screws in each piece: one in the center and one near each end. But, don’t place them too close. Furring strip tends to be a dryer wood and is therefore more susceptible to cracking if you try to add screws right at the edge. 4. After the furring strip is up, it’s time to hang and attach the pegboard! You’ll want to make sure you center the pegboard’s side edge on your furring strip’s center piece and make the top edge flush with the upper piece of furring strip. Placement is fairly straightforward if your studs are 24 inches apart. If they are 16 inches apart, however, you may have to play around with this. I used two screws on the longer sides of each edge, between the locations of the furring strip’s existing screws. Once the first piece is up, the second follows quickly. Keep in mind that it’s often easier to do this step with the help of a second person to hold and guide. 5. Now, it’s time to use the hook accessory kit to start arranging and hanging your gear. I like the accessory variety kit, because it comes with quite a few different shapes and sizes, which can be used for specific items of gear. So, play around to see which pieces work best for your supplies. When it comes to organizing your gear, you want to try to distribute weight as evenly as possible. Take the heavier items and spread them out, and fill in the spaces in between with smaller, lighter items. 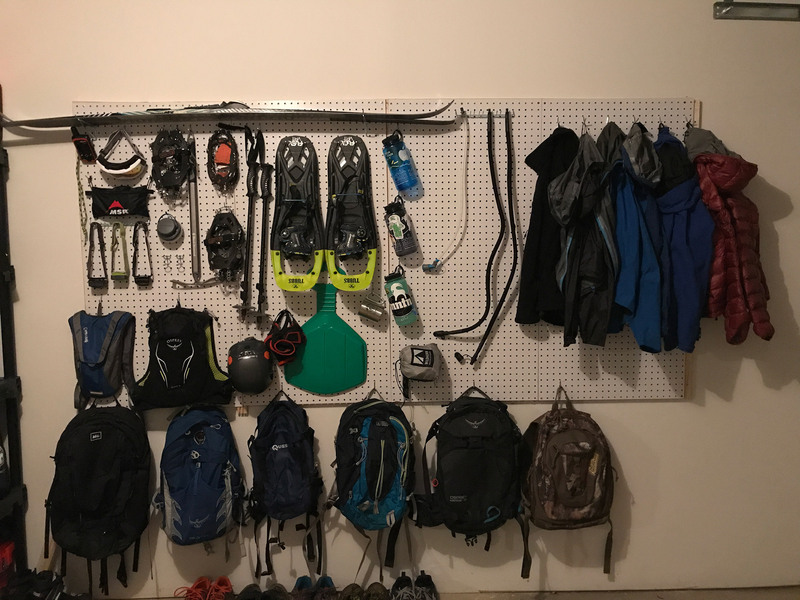 For my pegboard, I try to keep all items in the same category grouped together—headlamps, water bottles, jackets, etc.—in order to save time looking for them. Since backpacks and jackets tend to take up a lot of volume, a good tip is to hang them on the pegboard’s bottom hooks. Doing so creates more space for other items. For larger items, camping gear especially, I’ve found that they were just too big and bulky to organize on the pegboard. Instead, I keep them stored and organized on a five-tier plastic storage shelving system. When it comes to grouping smaller gear, you can use stuff sacks, small plastic totes, or similar bags to keep like items together. 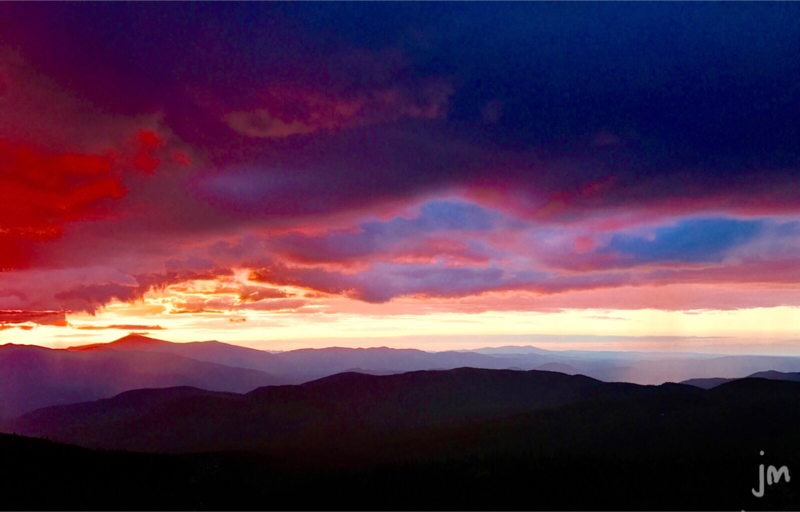 Some of the most beautiful scenes I’ve experienced outdoors have been spent in seclusion, watching the sun rise and set while the sky erupts in a multitude of colors. 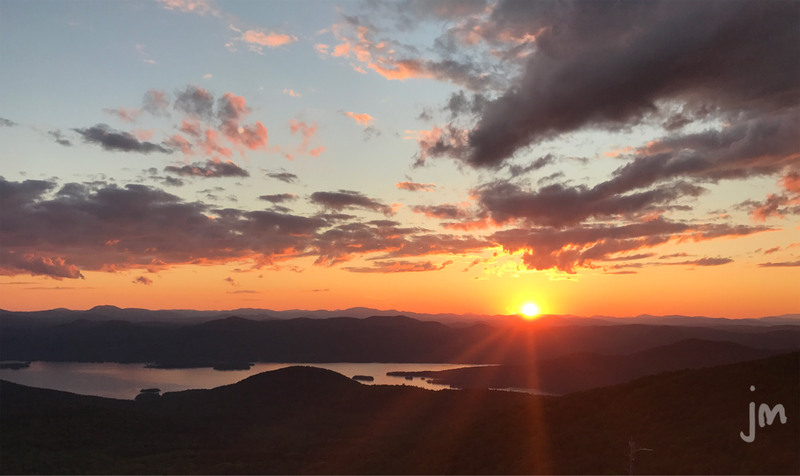 There truly is nothing more magical than the world quieting down for the night as the sun sets—except, perhaps, watching and listening as it comes alive again and the sun peeks out from beyond the horizon. As is often the case with these and other magical moments, trying to accurately capture it in a photograph can be difficult. However, you can usually come quite close by remembering a few key tips and tricks. When it comes to outdoor photography, the most important thing to keep in mind is that dedication and perseverance are the keys to helping you get the perfect shot. This can sometimes be tough (I know it is for me) because it means you will almost always be losing a good deal of sleep. 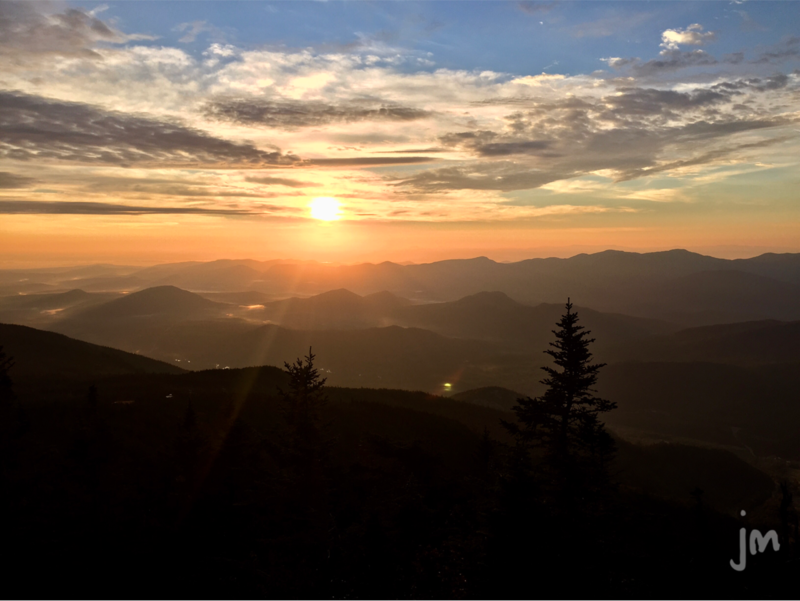 Driving to or from your destination, hiking time, and other factors all have to be taken into account, but you’ll rarely regret it. 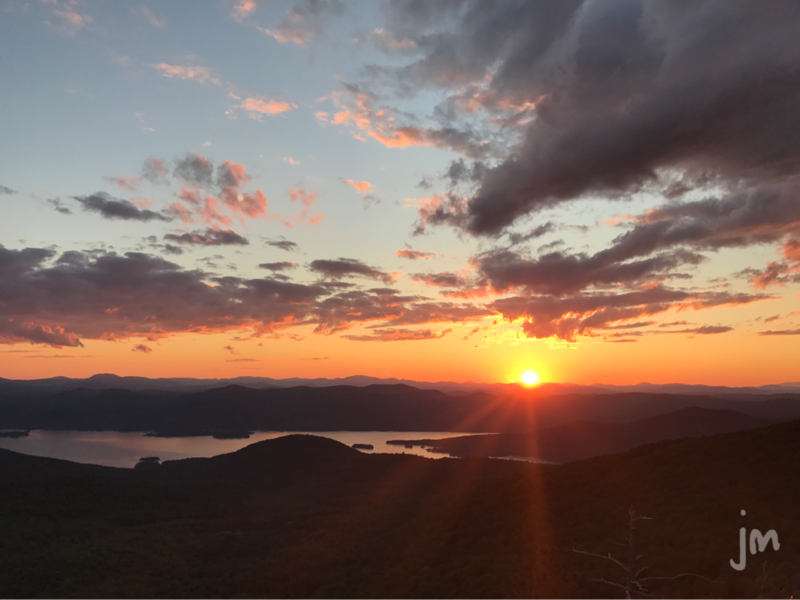 Hiking in the dark is also a big component of getting mountaintop sunrises and sunsets, and if you can find some people crazy enough to go with you, the trip will be much more enjoyable. There’s a special kind of magic that takes over as you sit and watch, and forget about just how tired you are or will be later. Not every quest for the perfect shot will result in even a mediocre sunset. 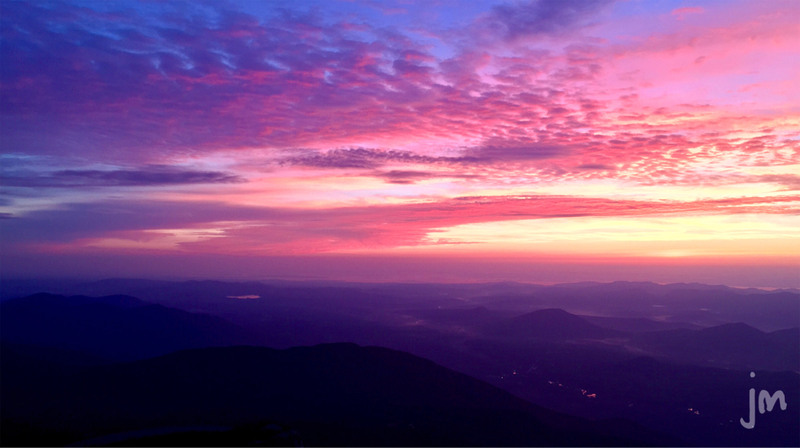 For instance, before one recent hike up New Hampshire’s Mount Moosilauke, I checked the weather forecast and decided it would be a good day to catch the sunrise on top. During the entire drive there, I had clear, starry skies and was getting very excited for the sunrise. About halfway up the trail, however, a thick fog suddenly rolled in, and didn’t clear until I was almost back to my car—an hour after the sun had already risen. But, that failed attempt didn’t stop me from catching a sunset near my house later the same day, and boy, was it worth it. Weather and conditions change rapidly, but persistence eventually nets you a shot you never thought was possible. 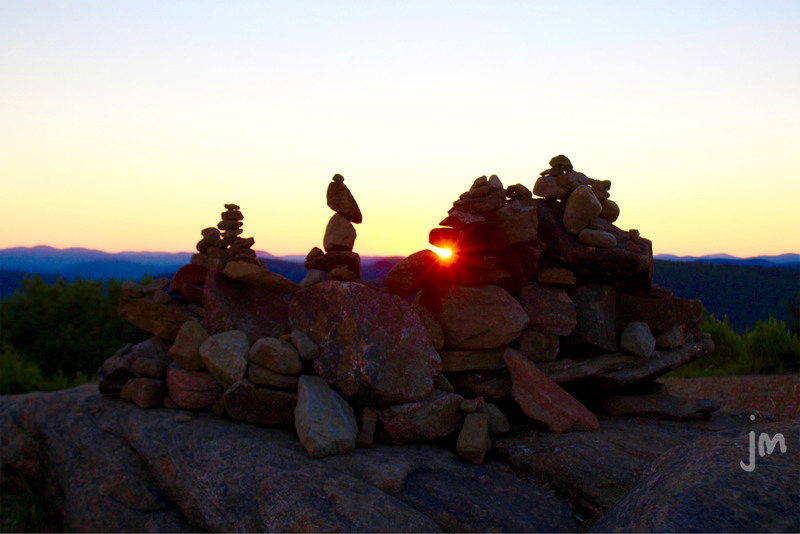 For planning your trip or hike, a key factor to take into account is the actual time of the sunrise or sunset. You can usually get this information from many different sources, including weather apps on your phone or online. I tend to use mountain-forecast.com and Weather Underground. Realize, however, that the sunrise or sunset doesn’t always happen at that specific time. 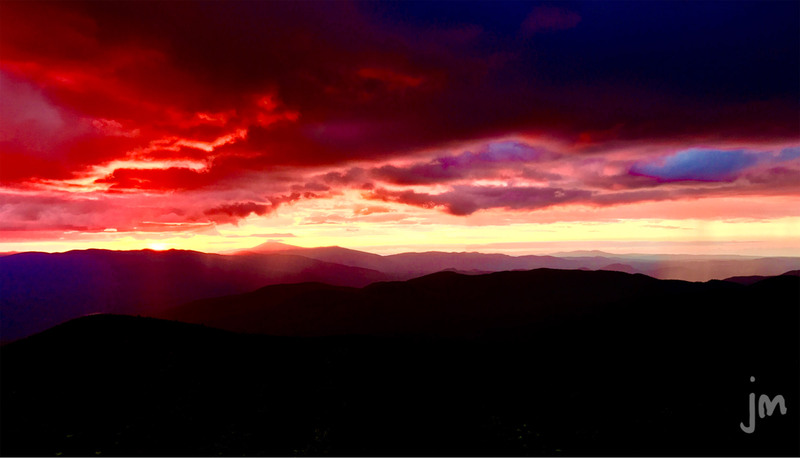 Colors can begin erupting across the sky up to an hour before the actual sun crests over the horizon in the morning or starts to set in the evening. As a good rule of thumb, get to your destination roughly an hour beforehand, and stay up to 30 minutes afterwards. 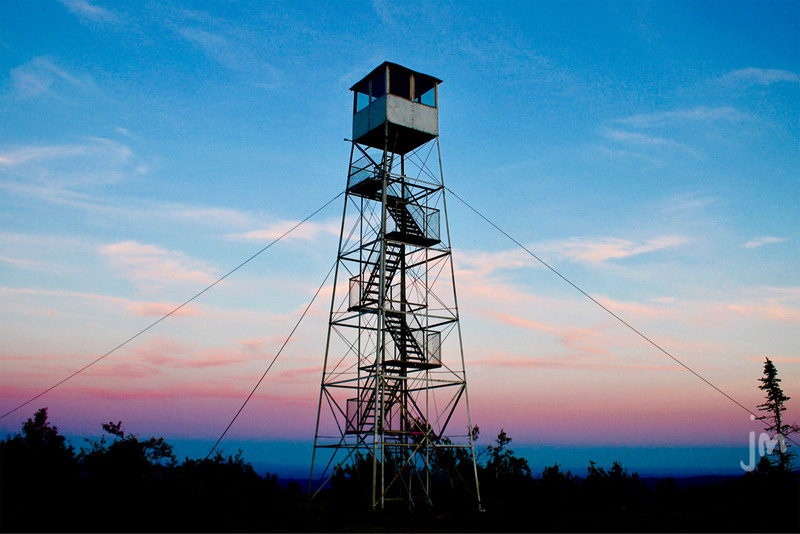 As one of the trickier things about shooting at dusk or dawn, those colors that everyone seeks can erupt across the sky and fade in as little as 30 seconds. So, you need to be aware and ready to shoot at any time, and never forget that clouds are your friends. Clouds reflect the scattered light particles to create astounding color combinations. 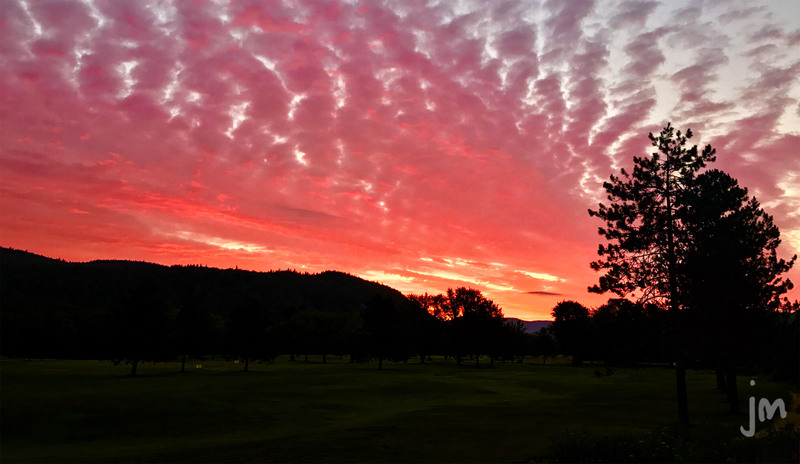 The most amazing sunrises and sunsets I’ve ever seen have occurred on slightly cloudy days, and the colors seemingly came from nowhere and disappeared just as fast. 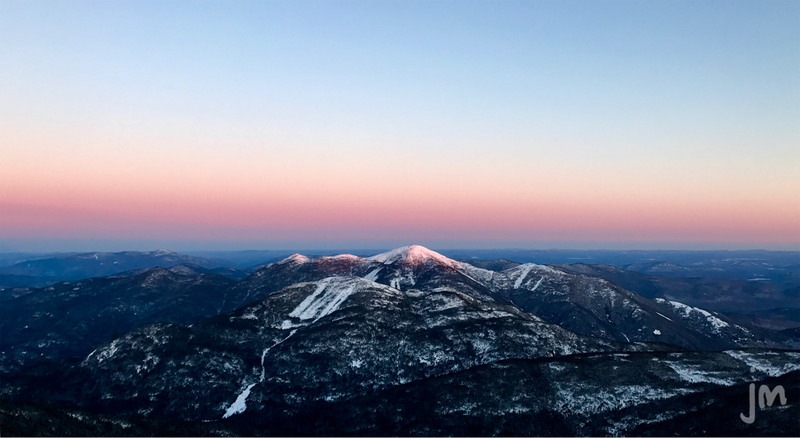 Don’t forget to look behind you, away from the sun, to catch a glimpse of the alpenglow, which is when subtle blues and pinks fill the sky. Keep in mind that shooting with a phone in the direction of the sun will typically result in some sort of flare, unless you center and focus directly on it. 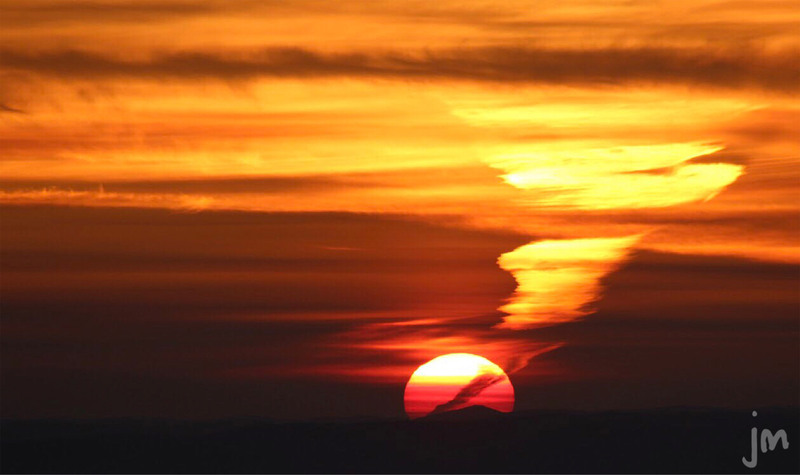 However, since most colors tend to appear either just before the sun emerges from the horizon or just after it sets, it’s easy to avoid flares. 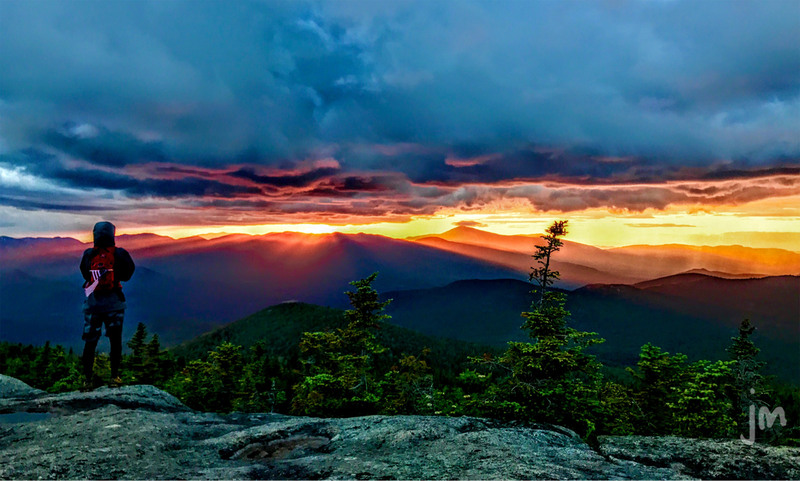 If you are using a DSLR, you can oftentimes create a starburst or sunburst effect with the sun’s rays, which adds some uniqueness to your shot. Finding innovative ways to frame this burst can give you a shot unlike anyone else’s. Remember your rule of thirds. Breaking your view into three parts, both vertically and horizontally, and then using those imaginary lines to align items and frame your shot allow you to capture more aesthetically pleasing photographs. 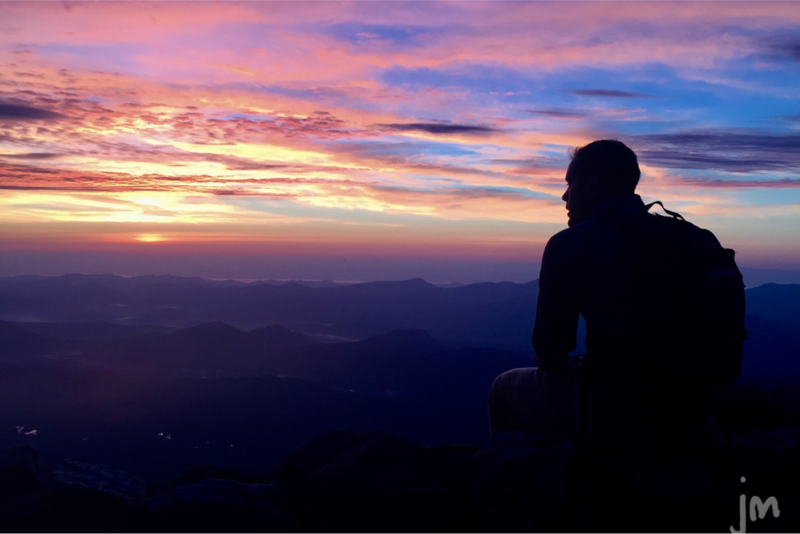 Sunrises and sunsets are great for creating silhouetted shots of fellow hikers, photographers, and friends. Focusing on the sky behind your subject allows you to capture the beauty of the scene while adding your companion’s silhouette to an already-fantastic image. It’s important to try to keep editing to a minimum. While it’s very difficult to shoot a photograph that completely matches how your mind remembers the moment, slight adjustments to the image’s overall brightness and color can usually help you come close. Many times, people will want to increase the saturation quite a bit, but this typically results in an image that looks very unrealistic and not what you were originally going after. “What kind of camera do you use?” is something photographers get asked frequently. We like to talk gear just as much as any other hiker or backpacker. But, my answer more often than not takes people by surprise. Several of my photos don’t come from my fancy Canon EOS Rebel T5 DSLR, but my trusty iPhone 7. Reason number one: It’s smaller, lighter, and always by side. For instance, when I’m on a trail run, I don’t typically carry along a big camera and lenses. 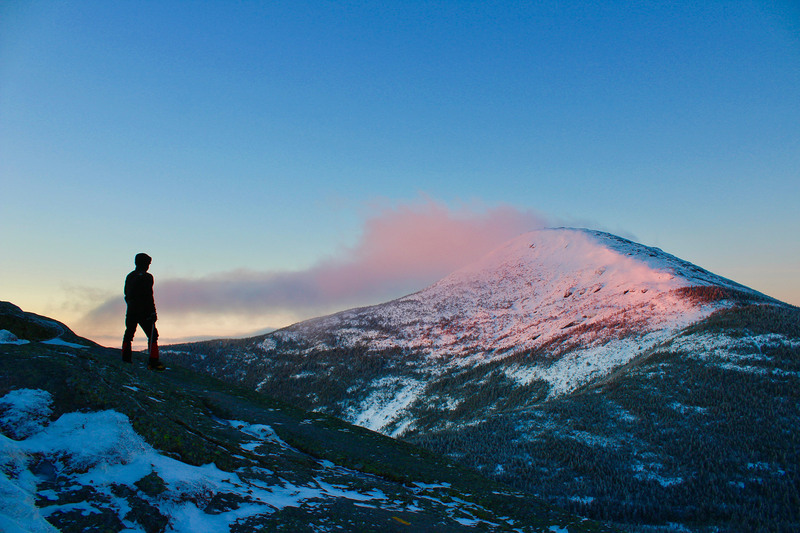 Secondly, the formula for successful landscape photography boils down to three things. While equipment, talent, and skill are essential, dedication routinely comes in as the most important. If you are truly motivated and dedicated to getting the perfect shot, and you are constantly putting yourself in position to do so, success will happen, even if you’re only shooting with a smartphone. As well, knowing how to properly use your iPhone saves pack weight and space, as well as time and money. And, if you know what you’re doing, the shots will be just as impressive. In your photo, obviously pay attention to the framing and composition. Step one: Hold your phone sideways. One of the first mistakes many make when taking photos while hiking is holding the phone upright, in a “portrait” orientation. Typically, up-and-down shooting should be avoided in landscape photography, with few exceptions, like a waterfall. Also take into account where the horizon is. Keeping this as level as possible will result in a more realistic-looking photograph. For certain shots, you’ll want to achieve as much symmetry as possible, even though this may go against the rule of thirds. This can be tricky, and typically should only be used for certain shots, such as bodies of water. 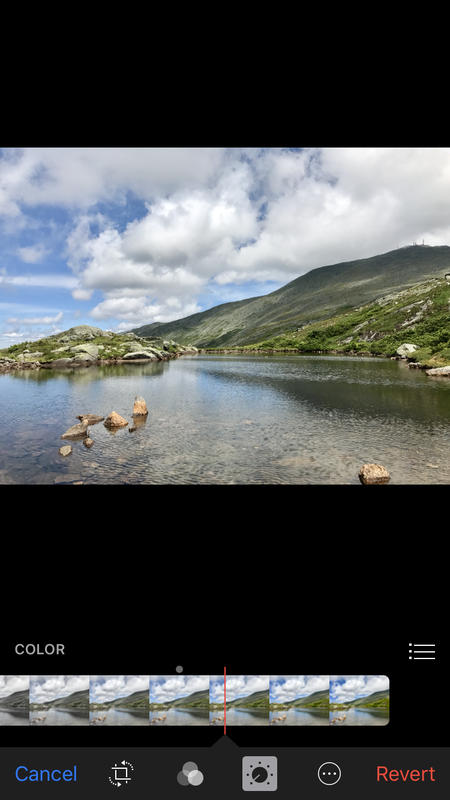 If you’re taking a photo of your hiking partner, you can apply the same rules to frame the photo. For instance, if you are shooting at sunrise or sunset, you can focus on the background to create a great silhouetted image. Or, if shooting during the day, try to face the sun’s opposite direction to allow both your subject and the background to be visible. Your phone will typically focus on both, resulting in a great image of your partner. Lighting can make or break a photo. Pay attention to where the sun is in the sky in relation to your shot’s direction. Having the sun behind you is usually best, because facing it can result in glare or a more faded-looking image. As such, usually the best time of day for shooting is early morning or evening, when the sun is lower in the sky. Therefore, less “harsh light” will affect your photos. 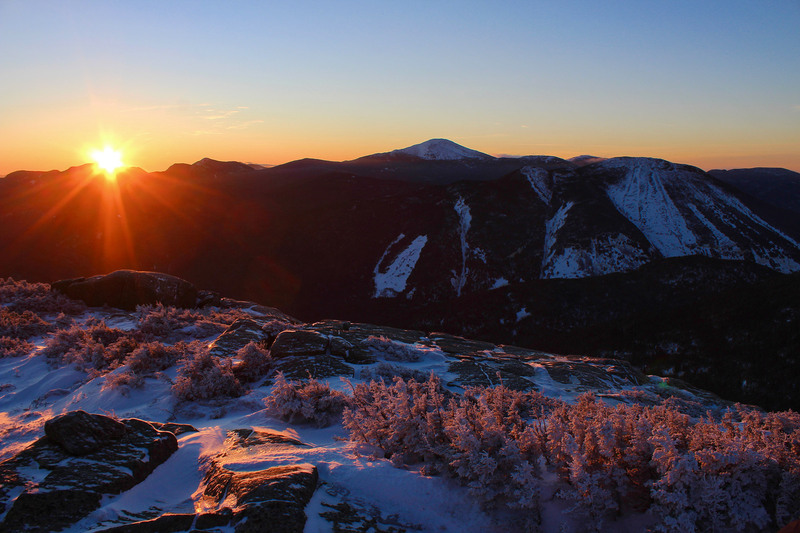 If you are shooting a sunrise or sunset, you’ll want to be facing the sun. But, also take into account that anything but a direct shot focusing on the sun will typically result in a flare or similar spot. A helpful iPhone tool, the HDR setting allows the phone to take two versions of the same photograph, usually with the HDR version resulting in better quality. HDR comes in handy when you are shooting things such as a mountain in the foreground and a brighter sky in the background. Typically, this results in a washed-out sky or a dark, shadowy foreground. If set to “Auto,” HDR will bring both the background and foreground into focus with proper exposure, resulting in an image exactly as you saw it. While shooting, you can also use the slider next to the focus box to easily change the exposure value. 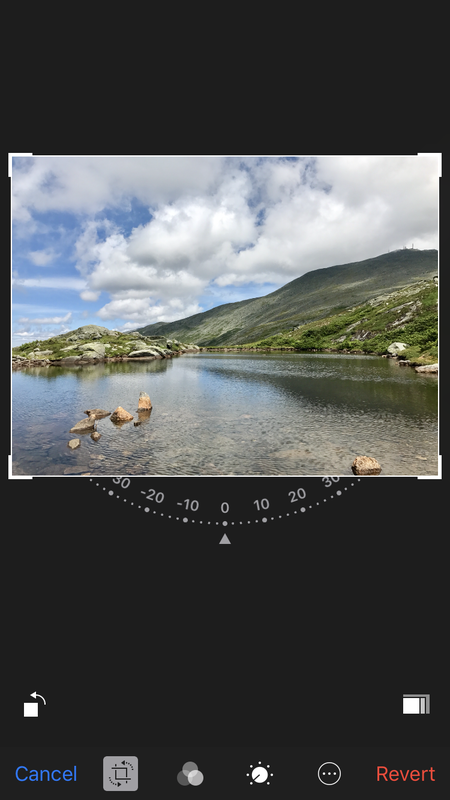 Just tap where you want the camera to focus, and then, by sliding your finger up or down, change the exposure to brighten or darken to reach your desired result. The key to taking a good photo is simply that. But, it can also be valuable to touch it up and perfect your shot before throwing it up on Instagram. And, believe it or not, you don’t need fancy editing software for that. In fact, the iPhone has some pretty great built-in basic editing tools, available just by clicking the slider bar button below the photo. For instance, to determine if the photo is level, select the “Crop” button first. Then, the iPhone will sense if the photograph is off from the horizon line, and will automatically correct the error for you. As well, a dial button will bring up three different lighting modes: Light, Color, and B&W. 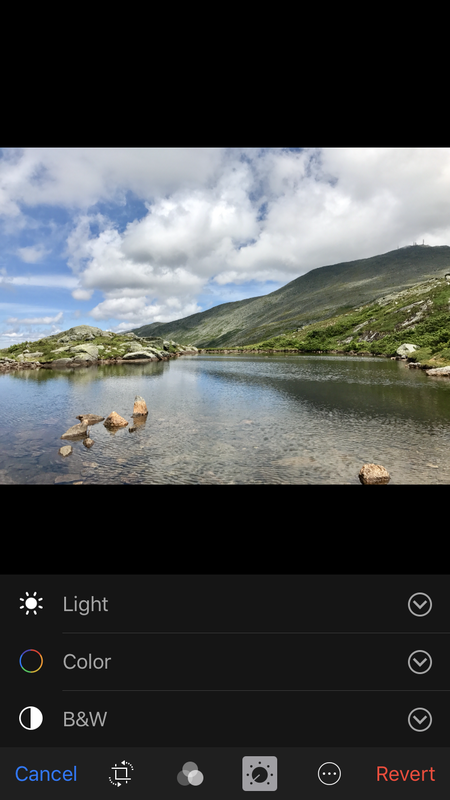 Using the Light option slider, brighten your photo by automatically changing the shot’s various aspects (contrast, brightness, shadows, etc. ), while the Color adjuster slider does the same thing with the different elements comprising the photo’s coloring (saturation, contrast, etc.). 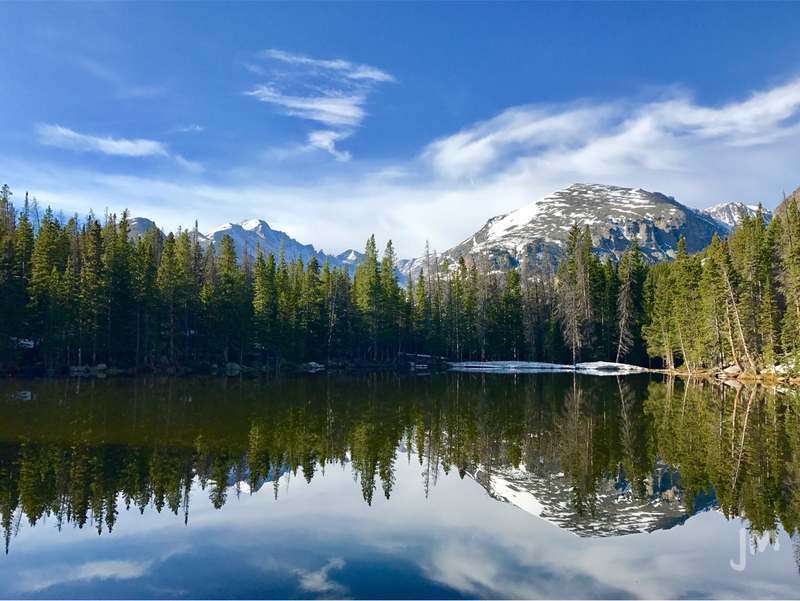 As a good rule of thumb for most landscape photos, increase both of these slightly in order to make your photo look more vibrant and colorful while still retaining a realistic look and feel. But, be careful not to over-edit. Your photos probably won’t look nearly as beautiful as you remember the actual scene being, which leads to people overcompensating and editing far more than they should, including over-saturation or increasing HDR or other similar filters too much. Thus, try to keep the editing to the bare minimum, so your photos look realistic while matching the memory you have. Happy shooting, and share your finished shots with us by using the hashtag #goEast!